Brother delivers professional color and effortless productivity to businesses with its latest series of color LED printing machines: the HL-L3230CDN and HL-L3270CDW printers. The new series prints documents in vivid colors and sharp definition graphics at 2,400dpi. The printers also offers increased print speed, quick scan speed, advanced paper handling, and seamless multi-page scanning. Both machines also come with large and user-friendly LCD touchscreen with convenient shortcuts to commonly used tasks. Moreover, the HL-L3230CDN and HL-L3270CDW printers boasts multi-tasking capabilities, large 512MB memory, and a processor with speeds of up to 800MHz. Brother’s new color LED machines has a high-yield toner that produces up to 3,000 pages. Automatic 2-sided printing and Toner Saver Mode are also some of the functions of the two printers. In addition, the new series allows mobile printing directly from your iOS, Android, or Windows device through Brother’s iPrint&Scan, Apple AirPrint, Mopria, and Google Cloud Print. You can also scan and print sans network access through Wi-Fi Direct, NFC, or USB flash drive. 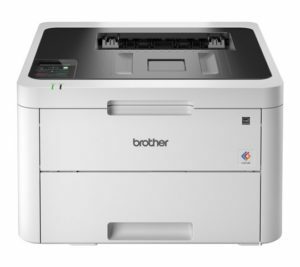 Available from March 2019 onward, the Brother HL-L3230CDN and HL-L3270CDW printers retails for P11,990 and P15,990, respectively. 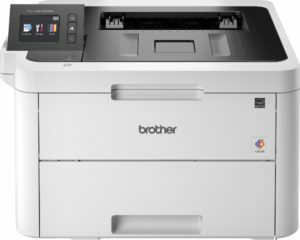 Brother includes a 1-year regular warranty when you buy one of its new color LED printers. You will also be eligible to join Brother’s Extended Warranty Program, which will add another year to their warranty for a total of 2 years. Simply fill up the Extended Warranty Card included in the machine box upon purchase. The machines can be purchased through Brother International Philippines’ authorized dealers nationwide. For more information, visit www.brother.com.ph.